There may be folks who can remain dry-eyed and hard-hearted during the final moments of Charlie Chaplin’s City Lights, but take care: Anyone that cynical shouldn’t be entirely trusted. Chaplin’s silent masterworks, one-reelers and features alike, are continually rediscovered by new generations, and recognized as timeless classics by adoring audiences and fellow filmmakers. (“For me,” Francois Truffaut famously enthused, “they are the most beautiful films in the world. Chaplin means more to me than the idea of God.”) To be sure, Chaplin’s relatively few talking pictures -- especially Limelight (1952) and The Great Dictator (1940) -- also inspire admiration and affection. But his pre-talkie efforts are the wonderments that guarantee his immortality, that ensure his very name will forever serve as an adjective for any attempt, successful or otherwise, to mix pratfalling and heart-tugging in a crowd-pleasing comedy. The Kid (1921) may be more aggressively sentimental, and The Gold Rush (1925) perhaps is more commonly acclaimed as his magnum opus, but City Lights (1931) is by far the most Chaplinesque of all Chaplin movies, being an absolutely magical commingling of graceful pantomime, knockabout tomfoolery, inspired silliness and – perhaps most important – profoundly affecting poignancy. It’s also, not incidentally, a project Chaplin insisted on shooting as a silent movie long after talking pictures had become the accepted norm. City Lights begins, of course, with Chaplin cleverly introduced in his familiar role as The Little Tramp, the elegantly mustached gentleman whose shabby attire (derby hat, frock coat, baggy trousers, outsized shoes) is offset by his courtly manner and cane-twirling, hat-tipping panache. And it proceeds with the sort of seemingly improvised but intricately choreographed funny business that many comic actors still emulate. (Check out his classic bits in a raucous nightclub and a high-society party.) In the closing scenes, however, City Lights gradually builds to an epiphany of sweetly painful pathos, leading to a final, indelible image of a man smiling with hopeless longing at a woman whose love he fears he could never – not now, not in a million lifetimes – deserve. 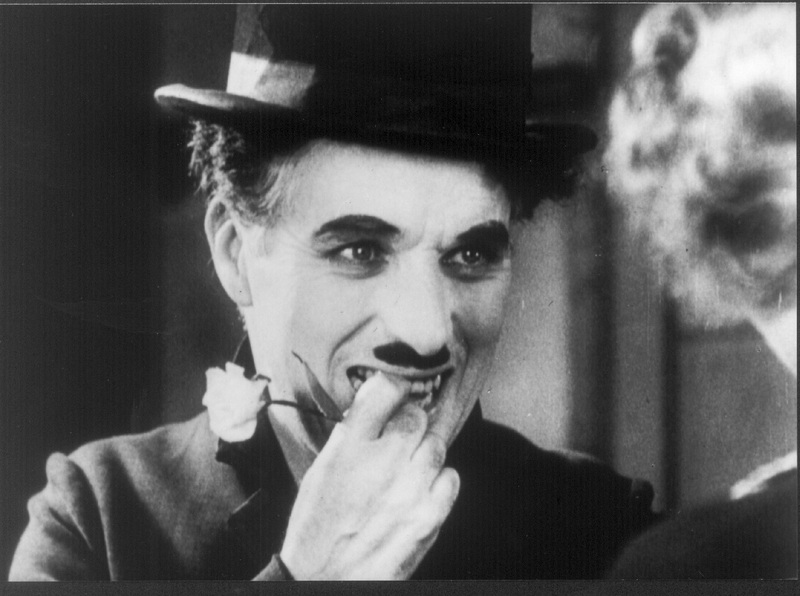 Throughout much of City Lights, Chaplin maintains a lighter and mood, even as The Little Tramp – a.k.a. Charlie -- is repeatedly abused or embarrassed. (Chaplin customarily billed himself as Charles Chaplin for his writing and directorial credits, but always stuck with Charlie to identify himself as star of the show.) When a blind flower girl (Virginia Merrill) naively assumes he is a free-spending dandy, Charlie is so smitten that he resorts to drastic measures -- including, most hilariously, his participation in a boxing match -- to earn enough money to sustain the mistaken identity. Periodically, Charlie enjoys an evening’s revelry with an alcoholic millionaire (Harry Myers) who drinks to steadily increasing excess in the wake of his wife’s departure. Whenever the millionaire sobers up, however, he never recognizes Charlie as his boon companion from the night before. His selective memory proves to be awfully inconvenient for Charlie: After giving the Little Tramp enough money for the flower girl to have an operation that will restore her eyesight, the millionaire forgets all about his generosity. Which, unfortunately, leads to Charlie’s arrest and imprisonment. After his release, Charlie looks even more bedraggled and destitute than he does in the opening scenes. The good news is, the flower girl, who has opened a flower shop, can now see. The bad news is – well, she can now see him. Fantastic post. Thank you so much for sharing it. I loved it. I love films. I used to watch most of the classic films. Chaplin is undoubtedly one of the great directors in the film history. I love all his movies. But The kid always remain special. It is very close to my heart. His movies are good. Most of his movies are silent. They do not have sound. Even though the movie won our hearts. They entertained us. He conveyed good messages through humor. He understood how small things could be humor or dramatic. The kid, Modern Times and City lights are some famous movies of Chaplin. In my opinion everyone should watch these movies. They are so amazing. The kid is so heart touching. And the movie directed, produced and story by Chaplin. The film said the relationship between Chaplin and small boy. It was a treat to watch them together. Modern Times ell about the difficulty faced by worker in the modern world. City Lights written, produced and directed by, and starring Chaplin. The film was successful with positive reviews. Today, many film critics consider the movie as greatest films of all time. It is indeed a great movie. Chaplin had a clear view of society. He is a great film maker because; he was able to portray everyday emotions, feelings without sound. I don’t think that all people can do it. Without using sound we can understand what he wanted to tell to the audience. The movies remain in our heart forever. Through emotions and expressions he conveyed everything. That is the quality of a great film maker. That is why everybody considers him as a great film maker. His was an excellent actor. He is timeless. Great director. Thanks once again for the post. Keep on sharing more posts.